A small selection of editorial clippings featuring our work. 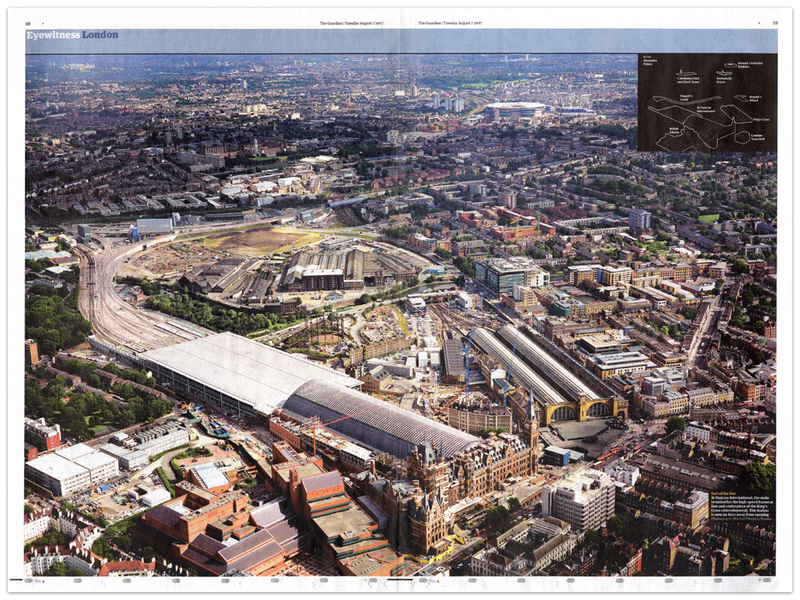 Guardian Eyewitness: centre spread of an aerial view of the new developments at St Pancras. Guardian Weekend; feature on St Pancras International. Evening Standard: centre spread of the Christmas Cathedrals Express steam train at Vauxhall. 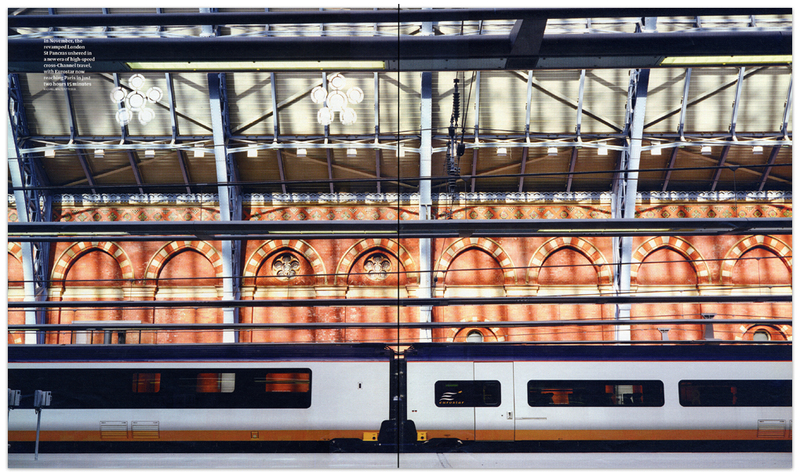 Guardian Eyewitness: centre spread of the first Eurostar train into the Barlow Shed at St Pancras International. Time: cover story on Vojislav Kostunica, the new president of Yugoslavia. 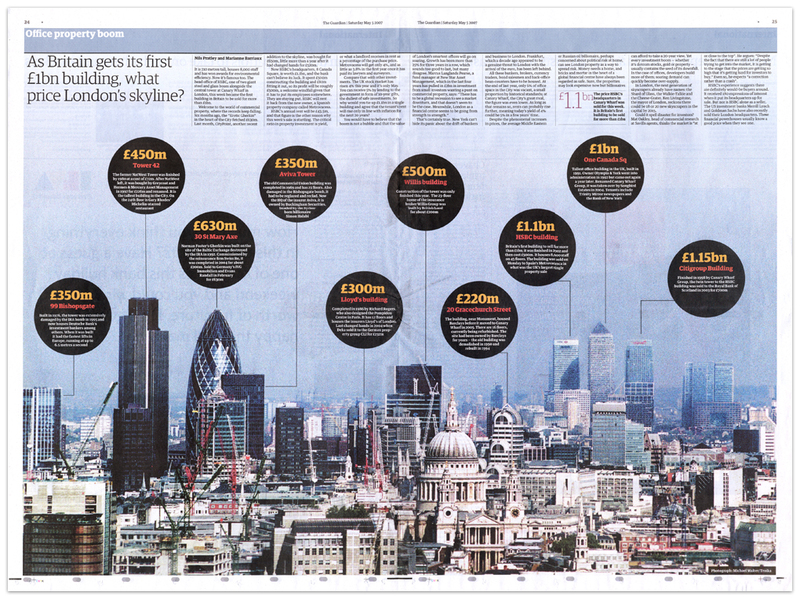 Guardian Eyewitness: centre spread on the cost of London's skyline. Newsweek: cover story on tourism in Croatia. Money Marketing: profile feature on Perspective chairman Paul Hogarth. Money Marketing: cover story on investment manager Neil Woodford. Evening Standard: centre spread of Quentin Blake drawing wrap at Kings Cross. Guardian G2: cover feature on Paddy Ashdown, the High Representative for Bosnia and Herzegovina. Evening Standard: centre spread on the Imax 3D cinema at the Science Museum. Evening Standard: centre spread of a frosty morning in Richmond Park. Evening Standard: centre spread of an early morning dip at the London Fields Lido. Evening Standard: centre spread of the installation of the Dent clock into St Pancras International. Guardian Environment: the London skyline. Guardian Eyewitness: centre spread of the annual Bramble Bank cricket match.